and connecting with people. If we all could just focus today on how we look at each word and gesture we make, and each decision we make, we would see that ripple occur. In short, whatever you do today will make a difference…and sometimes we even have the choice of making that difference either positive or negative. Sure, I wish I was more educated in physics or science and understood better the concept of cause and effect. But my average intelligence allows me to witness what happens when that pebble hits the water…I can see the changes that takes place. How does this relate to “Friends of Copey”? We have an ongoing list of differences we constantly make as we touch the Copey community. My biggest challenge each week is to inform all “Friends” about the ripples we cause. Every ripple counts! The Learning Center has begun the process to select the “Pathway Project 2018” students who will travel to the US next June. Students, family, and the community will soon start preparing to send off more deserving students to America. Learning Center students are working hard to prepare for the next round of the “Spelling Bee” taking place in a couple of weeks. Both leading Learning Center candidates are AGB Scholarship Fund recipients. Jane, our volunteer representative, is growing in popularity and is having a tremendous impact on the Learning Center and the Copey community. She is sharing her experiences with countless friends in the US via Face Book. The ripple effect has resulted in donations being sent to the Learning Center to help purchase needed school supplies. “Friends” is now assisting two US students planning to attend the university in San Jose by putting the students in contact with a trusted “Friend” residing in San Jose. The San Jose “Friend” has agreed to assist our young students if they need help while they are in San Jose. Do we need more evidence that we as “Friends” are causing ripples and making a difference? In 2013, Heather Tibbett visited her daughter Hailey (Key Friend) during Hailey’s time as a volunteer in Copey. I was very impressed with Heather’s strong devotion to her daughter. It was like a mother/daughter special get-away and resulted in a very memorable time together in Costa Rica. the joy of family creating life-long memories this unique and special. 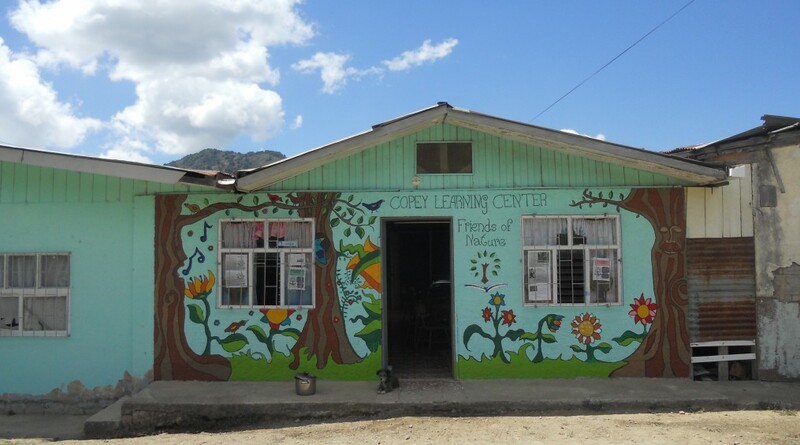 John and his wife Paula have the first-hand experience being in the Copey community, seeing the Learning Center, meeting the families and the children, co-workers, and all the rest. Thank you John and Paula! Can anyone see the ripple effect in all this? Now, this family visit will ripple thru the lives of so many family and friends and will last for a long time. If you cannot personally have such an experience by traveling to Copey, then enjoy knowing it has been with your encouragement and support of “Friends” that has helped create this opportunity. Final Note to my oldest grandson! Washington State University. When you crossed the goal line for the only Nevada score in the game, we all crossed that goal line with you knowing how hard you have worked to be ready for this opportunity. I often speak about “divine intervention” and my skepticism about coincidences. After three years of you being on the team, in uniform for more than 24 games, traveling thousands of miles to various universities, your time came on a day at a place under various circumstances including me watching from only yards away that defies this all being just a coincidence. Thank you for being the man you are becoming! ← “As for me…give me liberty!